When our beloved seniors who have Alzheimer’s or are stricken with being senile are outdoors trying to get on a bus or at home getting into their beds, they need a step stool that will not harm them in any way while using it. These seniors have very special needs we should consider. They need special attention and with extra care dealing with their needs. So what do you look for in a step stool with Alzheimer’s sufferers in mind? Most important thing is to make sure that the step stool has a large standing area on the top of the step stool so they have enough space for both feet moving around. Next, the top surface should be rough enough to prevent their feet sliding on it. Then the color of the step stool should be distinct so they can see it easily, since some of our elderly have poor vision. The step stool should also be rated for 500 pounds. Load rating is very important if your loved one is a bit on the heavy side. A step stool with rungs like a ladder is not a good option for your Alzheimer’s sufferer. These types of steps are dangerous because the person using this step needs to balance themselves on a 2 or 3 inch wide rung. You probably don’t want your elders doing this. There are bus step stool that are made of metal that may at first appear to be stable enough for your senior. This kind of step stool will usually have legs which could make it wobble and unstable on uneven surfaces. The legs may also cause another problem for your elderly; if their foot gets under the step they may not realize it. There are testimonies from bus drivers at Alzheimer Assisted Living facilities of horror stories about the unwanted accidents of visually impaired seniors who have gotten their foot under the metal bus step stool instead of on top. Then when they try to lift their foot up, they fall. 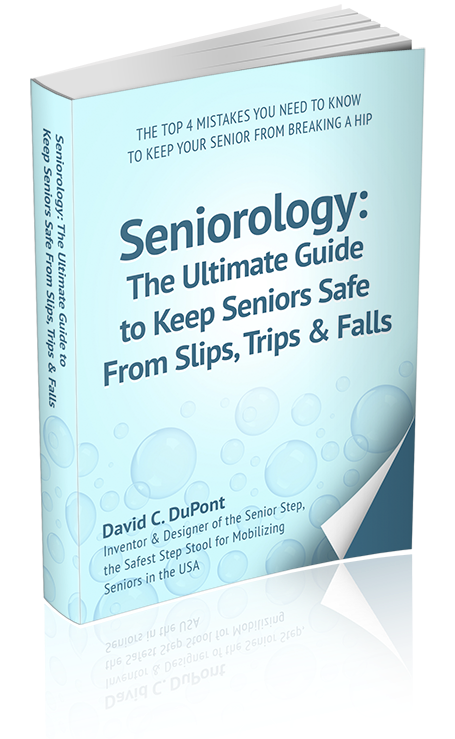 If you want nothing but safety for your beloved senior with Alzheimer, you must take the extra time to carefully consider who will use the step stool, where it will be used, be it outside in the weather, in icy conditions or at home in getting on to bed. Make sure to dissect all the features a safe step stool may bring to your loved one. Choose the step stool that possesses all the safe features as mentioned above. I hope these tips will help you decide which step stool to pick when looking for a safe step stool for your Alzheimer sufferer.